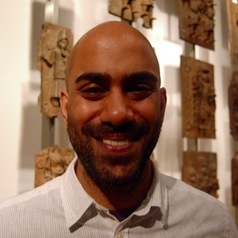 Dr Rishi Caleyachetty is an epidemiologist at the Institute of Applied Health Research, College of Medical and Dental Sciences, University of Birmingham. Dr. Caleyachetty’s research generates evidence for improving women and children’s health in low- and middle-income countries. He is interested in global health, focusing on women and children’s health and NCDs. Dr Caleyachetty served as an Adviser to the Ministry of Health & Quality of Life, Republic of Mauritius. Prior to joining the University of Birmingham, Dr. Caleyachetty was an epidemiologist at the MRC Unit for Lifelong Health & Ageing at University College London and was a Fulbright Fellow at the Mailman School of Public Health, Columbia University, New York. He was also a junior doctor in the Oxford Deanery Foundation Programme. Dr Caleyachetty holds an MBBS degree from King's College London, an MSc in Epidemiology from the London School of Hygiene & Tropical Medicine and a PhD in Epidemiology from Cambridge University.